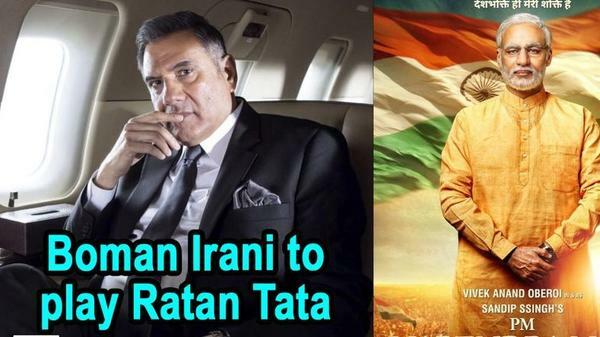 While Vivek Oberoi will play the nominal role of PM Narendra Modi, Boman Irani will be playing the role of Ratan Tata in PM Narendra Modi biopic. Boman Irani is the newest addition to the star cast of Omung Kumar’s PM Narendra Modi. The 59-year-old actor will play the role of the corporate magnate Ratan Tata in the biopic. Apart from Boman, it has been publicized that Barkha Bisht will play Modi’s wife Jashodaben and Zarina Wahab will be seen as his mother Heeraben Modi. Prashant Narayanan will portray business tycoon Aditya Reddy in the biopic. Actors Darshan Rawal, Akshat R Saluja, Anjan Shrivastav, Rajendra Gupta, Yatin Karyekar and Manoj Joshi will also be seen in pivotal roles in the biopic on PM Modi.